*Exclusively available at Annabelle.com from March 8, 2017 00:01 ET until March 10, 2017 23:59 ET. No code required. Prices shown at Annabelle.com reflect discount. Cannot be combined with any other offer. Offer does not apply to any orders already processed or waiting to be processed. 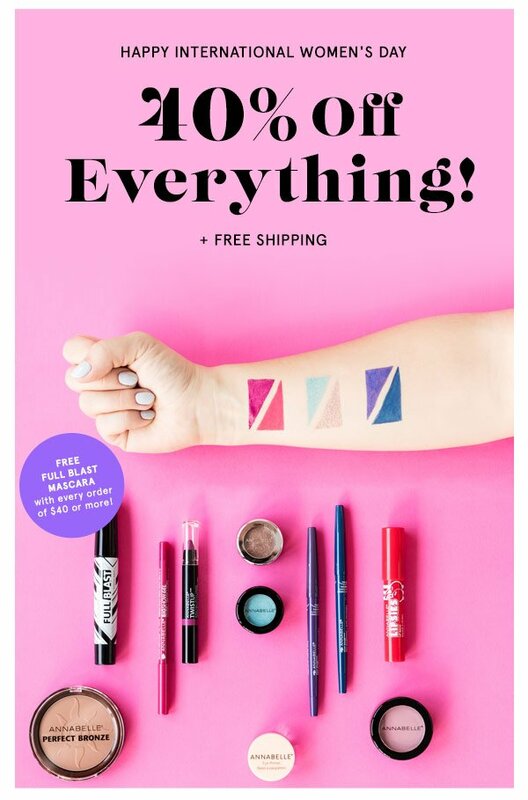 The FREE Full Blast Mascara will appear automatically in your cart when it reaches 40$ (before taxes). No product substitution will be accepted. We reserve the right to cancel any order due to unauthorized use, alteration or ineligibility of the offer as well as the right to modify or cancel any promotion due to a system error or unprecedented circumstances.